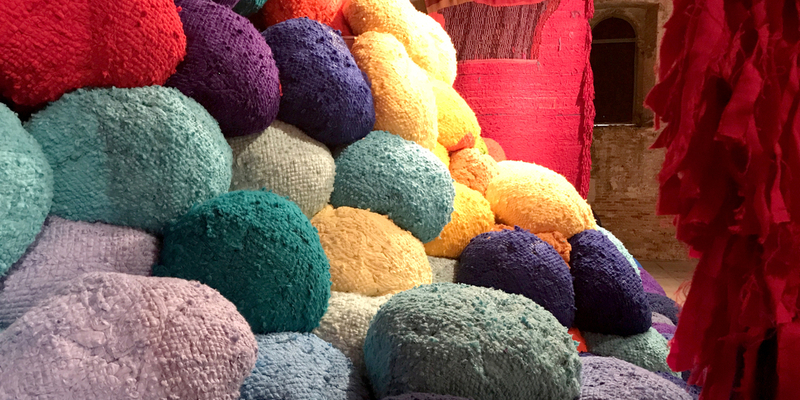 Sheila Hicks, Scalata al di là dei terreni cromatici / Escalade Beyond Chromatic Lands (detail), 2016-17, mixed media, natural and synthetic fibers. In the Arsenale. 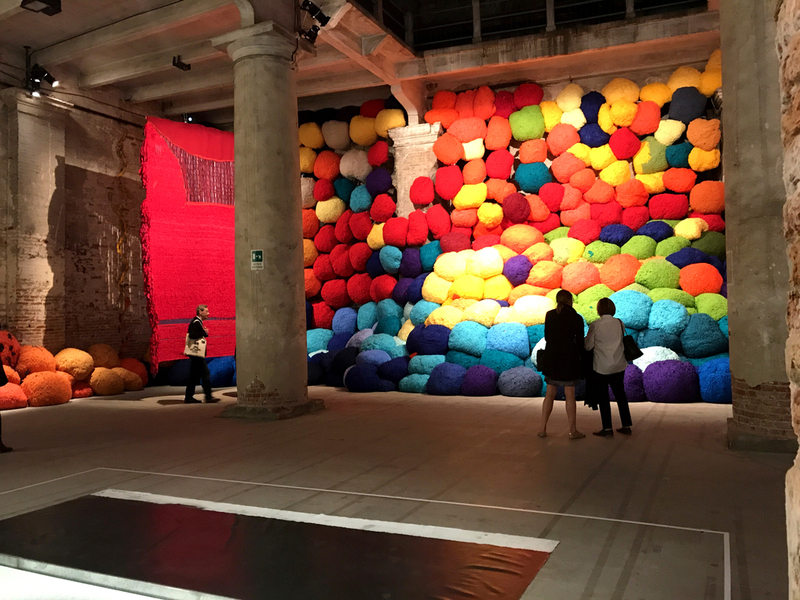 Today, the 57th edition of the Venice Biennale opened for early viewings. On the ground, we asked artists showing in “Viva Arte Viva,” curated by Christine Macel, to choose another artist who, in the early moments of the exhibitions, immediately stood out in their minds. The biennial is open to the public from May 13 through November 26, 2017. 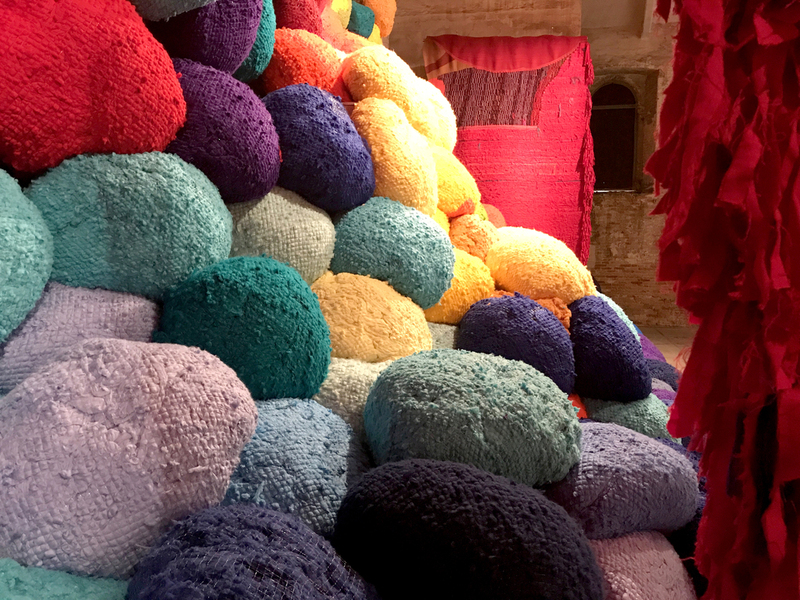 Sheila Hicks, Scalata al di là dei terreni cromatici / Escalade Beyond Chromatic Lands, 2016-17, mixed media, natural and synthetic fibers. In the Arsenale. 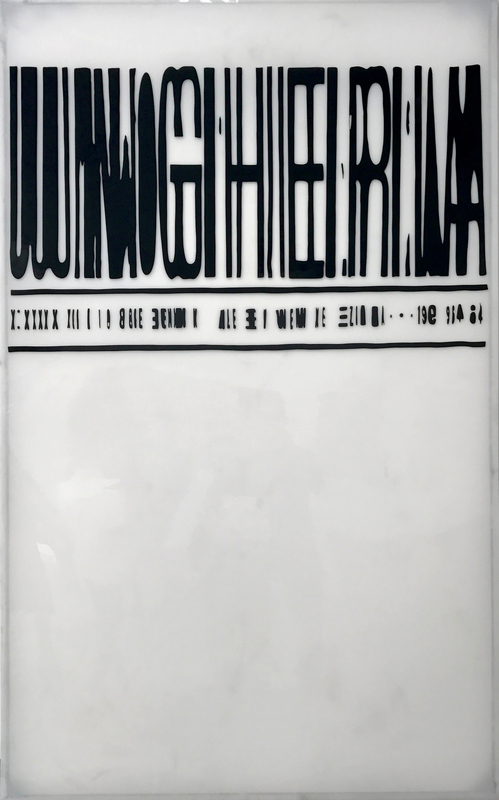 Raymond Hains, La Biennale éclatée, Hongrie, 1968, Plexiglas relief. In the Central Pavilion, Giardini. 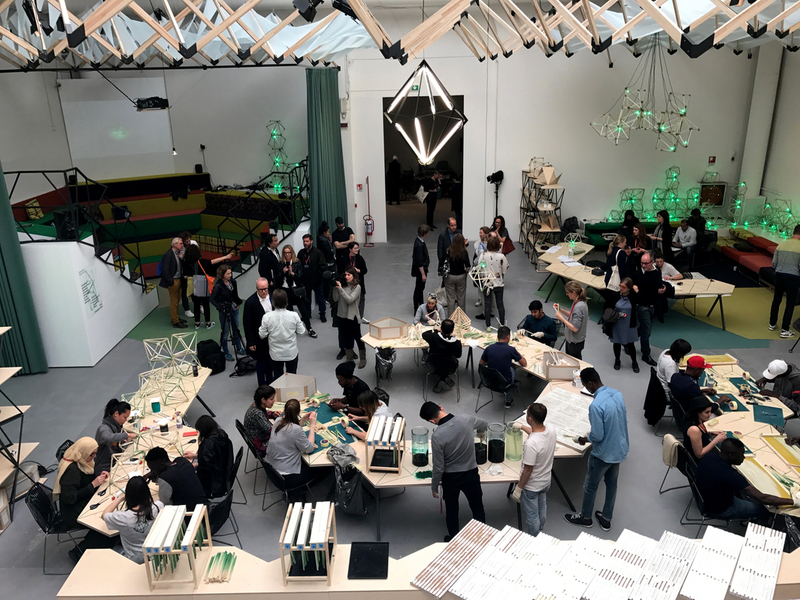 Olafur Eliasson, Green light – An artistic workshop, 2017. In the Central Pavilion, Giardini. Sung Hwan Kim, Love before Bond, 2017, mixed-media installation. In the Central Pavilion, Giardini. 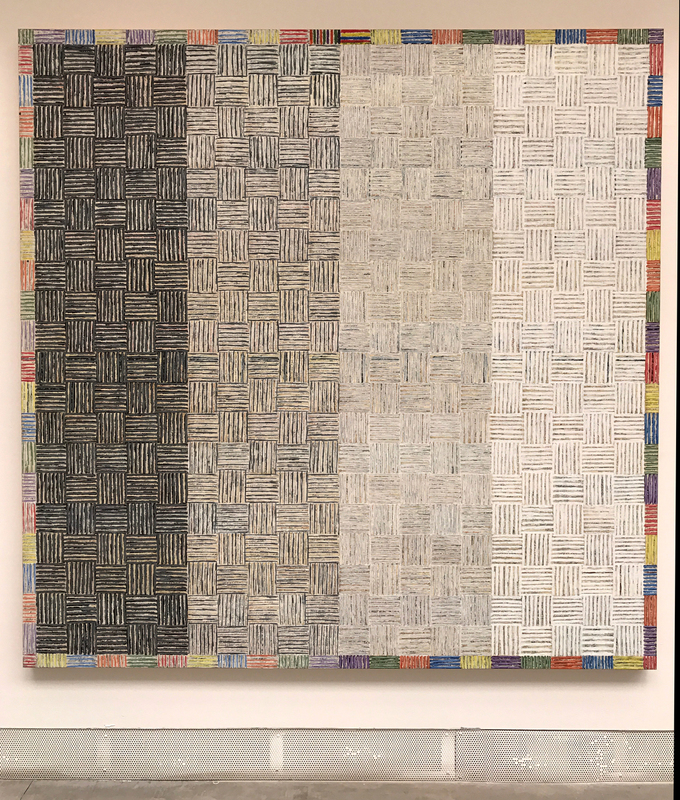 McArthur Binion, DNA: Study: Zero, 2014, oil paint stick and paper on board. In the Central Pavilion, Giardini. 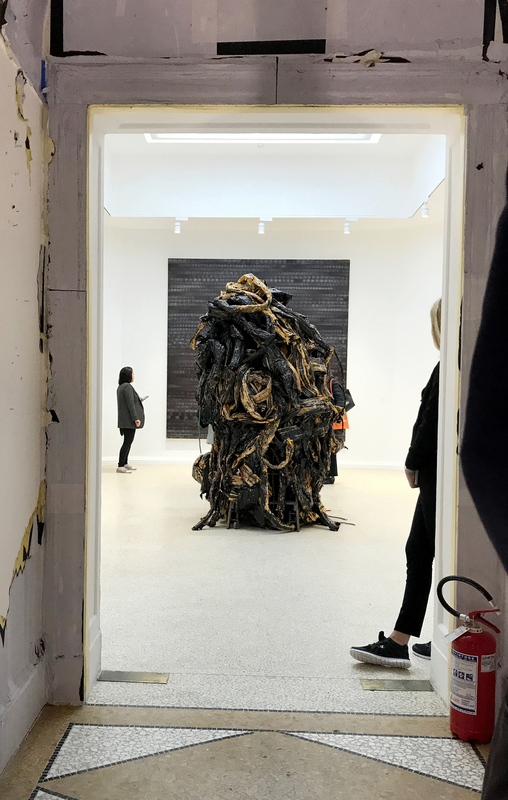 Mark Bradford, Medusa, 2016, acrylic, paint, paper, rope, and caulk, dimensions variable. In “Tomorrow Is Another Day” at the US Pavilion, Giardini. Shimabuku, The Snow Monkeys of Texas – Do Snow Monkeys Remember Snow Monkeys? (detail), 2016, mixed-media installation, text, cactus pots, HD video, color, stereo sound, 20'. In the Arsenale.